Maybe it’s the Canadian in me, but I love holidays. There is something that gets my heart racing with happiness and I just feel the need to spread this everywhere. Our house may end up looking like one big rainbow, but the kids and I love getting our Easter decorations out and getting into the festive spirit. This year, we are super excited to make our Easter Bunny Tails B Topper so that Finlee and Chloe can share the Easter love with their friends. 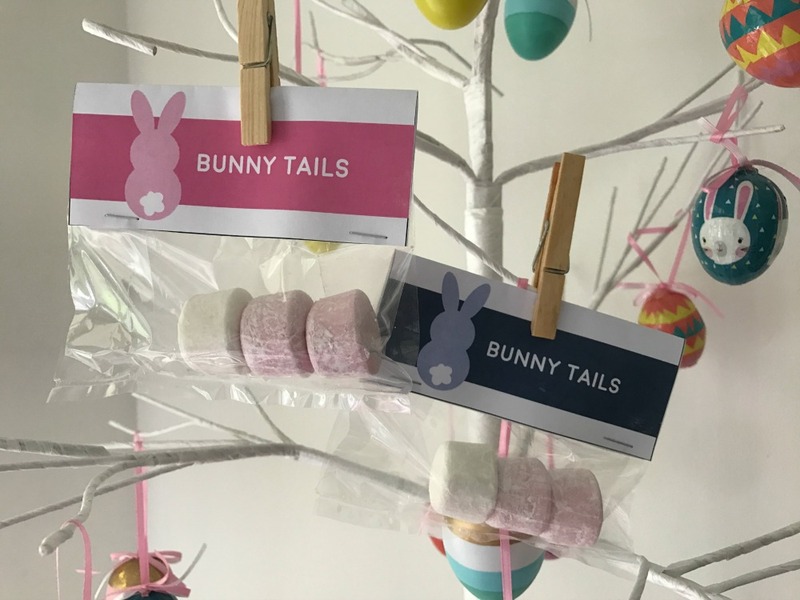 Making your Easter bag toppers is super easy if you follow these 5 simple steps. Step 1: Cut the Easter toppers (if you have little kids you’ll need to do this for them). Step 2: Fold the bag toppers in the middle (again if you have small children you may need to do this or at least help them). Step 3: Cut the clear plastic bags in half or based on the size so bag toppers can fit over the plastic bag nicely. 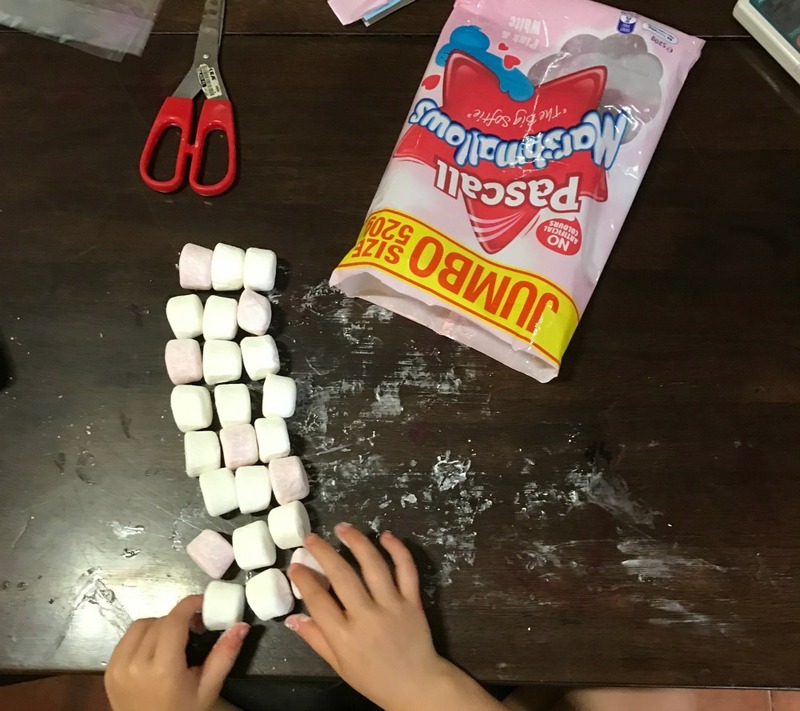 Step 4: Have you kids count out the marshmallows in stacks of 3 – this is a great way to work on numeracy skills in a fun way. Step 5: Staple the bag toppers onto the clear plastic bag. 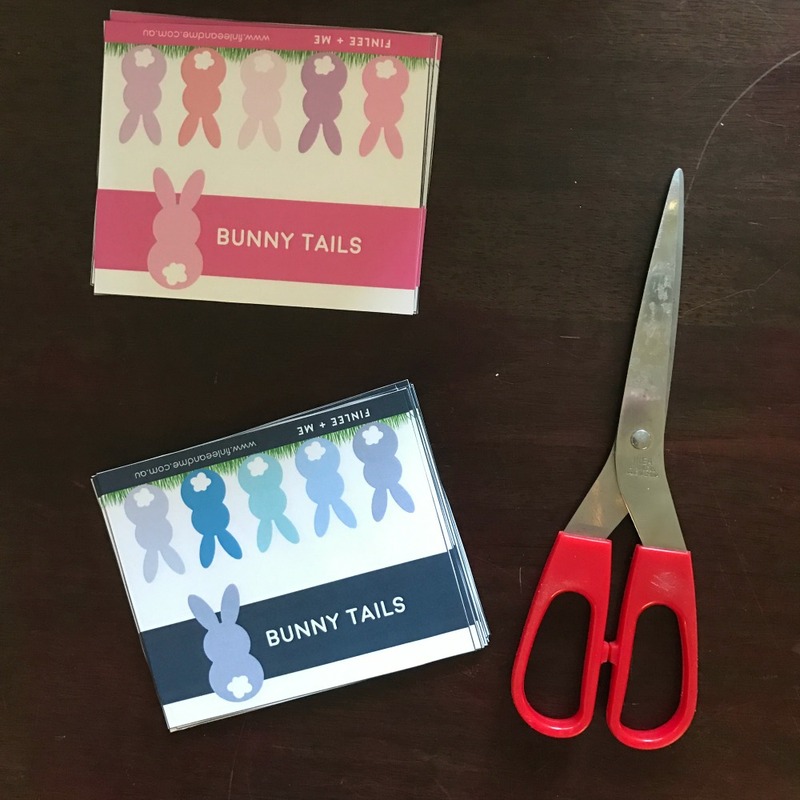 The kids and I had a blast making this awesome Easter bag toppers and I especially loved listening to their stories over dinner about how excited their friends were to receive this special gift from them. Grab your free Easter topper printable below so you too can make these for friends or family this Easter season. Also please remember to share some of your creations to our social media channels when you do.